Max Lelli was born in Manciano (Grosseto), in 1967. As an amateur he won 13 races. In 1989 he turned Professional and won 23 races.. Competing in the Tour de France. 14 times. He rode as a professional competing with Armstrong, Cipollini, Fondriest, Bartoli, Cancellara and Hincape just to name a few. He won the team time trial in the Tour de France with the Ariostea Ceramics. He had finishes of 3rd and 4th place overall in the Tour of Italy in 1991 and 1993, with a stage victory at Monviso, Selva di Val Gardena, and the white jersey as the best young rider. He took part in three World Championships, won the Tour of Tuscany, and was 2 times the Italian Time Trial Champion. He has a victory in a stage of the Tour of Puglia and the Week Bergamo. In 1996, he was the first Italian to win the Tour of Portugal, where he also won six stages;, and in 1997 he won the Philadelphia International Championship. Since his retirement in 2004, Max has been dedicated to wine making on his farm in Maremma and building world class bikes. We are a different bike company. We do not sell thousands of frames a year, we do not mass produce frames in Asia. We take great care in hand building each carbon frame specifically for each of our customers, and we always ensure their complete satisfaction. As a Max Lelli bike owner, you become part of cycling heritage. Not only do you get a world class carbon hand-built frame, you become a part of the passion and heritage of Italian cycling. Beginning in 2017, we plan to host Max Lelli owners exclusive cycling trips to Italy. 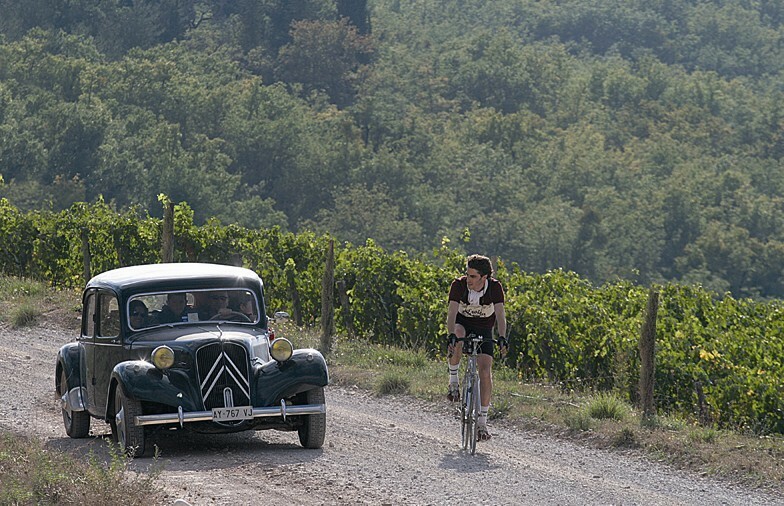 First Class accommodations, incredible riding, and true immersion into the Italian cycling culture.